The insidious influence of George Soros was the theme of an event hosted by Cliff Kincaid, Thursday at the National Press Club. Headlining the Soros Files conference were Larry Grathwohl [above, with Michael Zak], Brandon Darby, Zubi Diamond, Tina Trent and Trevor Loudon. See www.sorosfiles.com for more information. Larry Grathwohl is renowned for having infiltrated the Weather Underground in 1969-70. Today, he denounced Robert Redford for making a movie based on The Company You Keep, a novel which glorifies that terrorist organization. Grathwohl said that he attended many Weather Underground meetings at which the terrorists discussed committing genocide. Their plan, after taking over the country, was to herd 100 million Americans into concentration camps in the Southwest. A quarter of the prisoners -- 25 million people -- would be "shot" or "worked to death." I asked Grathwohl if Bill Ayers was at those meeting. "Yes," he replied. Barack Obama, let's remember, launched his political career at Bill Ayers' house. At present, Ayers exerts enormous influence over school curriculums throughout the United States. 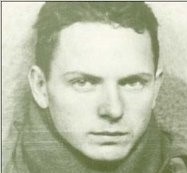 According to Grathwohl, Bill Ayers said his wife, Bernadine Dohrn, planted the bomb that killed police officer Brian McDonnell. See www.larry101st.blogspot.com for more information. Brandon Darby started as a naive, idealistic activist who "bought into the false narrative that if you want to help people, vote left." He worked with ACORN, the Black Panthers and Lisa Fithian, who would later organize the Occupy Wall Street movement. Hugo Chavez invited him to Venezuela for a month, " a frightening experience" that left him "a changed person." Darby came to understand that so many so-called civil rights organizations were really against civil rights, in that they wanted to deny civil rights to their opponents. He went undercover with the FBI to infiltrate terrorist organizations, helping to stop a plot to bomb the 2008 Republican National Convention. He described how The New York Times libeled him in order to defend those terrorists. See www.citizenpatriotresponse.org for more information. African immigrant and financial writer Zubi Diamond opened his presentation with a prayer: "Oh, Lord. Open our hearts and our minds..." He then warned that "enemies within our borders want to collapse the capitalist system and replace it with communism. At the head of these people are George Soros and his puppet, Barack Obama." See www.zubidiamond.com for more information. Early in her career, Tina Trent [here, with Cliff Kincaid] advocated for the rights of women and children, particularly the victims of violence. She became outraged at the leftist politicians and social workers who support the rights of criminals rather than the rights of victims. George Soros, she said, provides enormous financial assistance to organizations that "elevate the rights of criminals over the orderly enforcement of the law." She explained that they want to overwhelm the legal system and that many also want to replace American law with a legal code crafted by the United Nations. See www.crimevictimsmediareport.com for more information. Trevor Loudon is a journalist and political activist dedicated to exposing the lies and manipulations of the political left. He has uncovered shocking truths about Frank Marshall Davis, Van Jones, Bill Ayers and other Obama associates. ﻿At the conference, Loudon explained how foreign communists utilize domestic individuals and institutions to advance their policy agenda. For example, the anti-nuclear movement in New Zealand was orchestrated overseas. See www.trevorloudon.com for more information. Michael Zak is a popular speaker to Republican organizations around the country. Back to Basics for the Republican Party is his acclaimed history of the GOP, cited by Clarence Thomas in a Supreme Court decision. 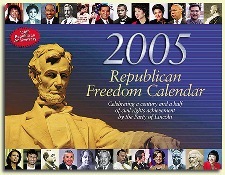 He is also the author of the 2005 Republican Freedom Calendar. His Grand Old Partisan website celebrates more than fifteen decades of Republican heroes and heroics. See www.grandoldpartisan.com for more information.